Everyone at this hotel is wonderful. They have the best service. I would even rank them above the Marriott staff in the US (where I live) an around the world and I have a Platinum-Elite status with the Marriott. I would like to especially highlight the great work of Tamou (the manager), Youssef and Mohammed in the restaurant and Fayçal at the reception. Truly, very professional and helpful staff. The interesting thing about this hotel, is that even employees how are temporary do a great job. After initial problems with our booking, my husband and I very much enjoyed our stay with you. The room was clean and quiet and the staff very helpful and friendly. The bathroom needs a little bit of tlc to tidy up where there has been mould/mildew, and my husband suggested another plug socket by the mirror would be helpful! was great except the breakfast wasn't completely served by 6:30 am and the quality of food wasn't as good as it use to be at ibis located in other cities. Good for family. Service and room is standard. Public beach is just in front of the hotel.Pool is big enough to swim for adult, and available separately for children, but the water is not transperant. It is noisy outside becasue of night playland which is open from the evening till midmight. Good clean place to stay! Close to the city if you like a walk. Nice ocean view! We enjoyed it very much! Thanks for your courteous service and kind staff. We were treated very kindly. We will definitely come back. 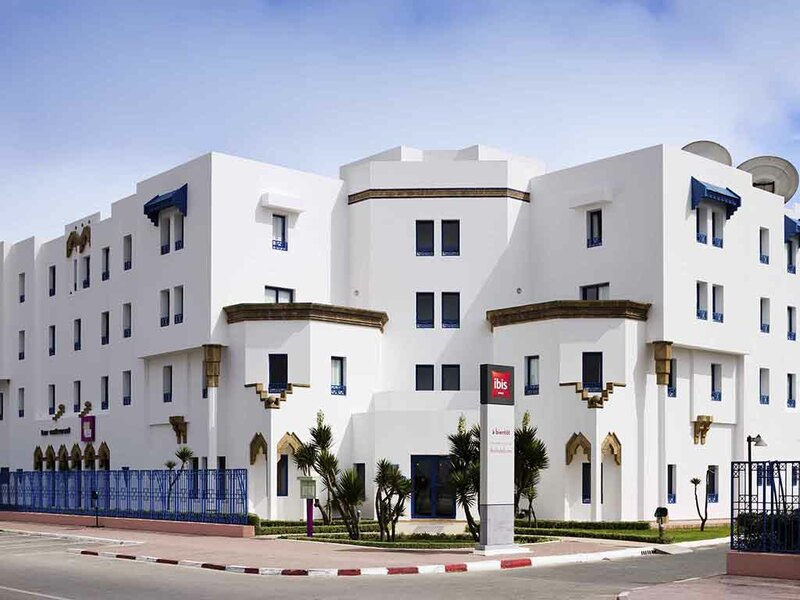 Chère Madame EVA, vous remercie d'avoir pris le temps de partager vos impressions suite a votre séjour à l'IBIS EL JADIDA. Nous sommes ravis de lire que vous avez bien apprécié l'emplacement de notre Hôtel ,ainsi que le service de nos hôtelier talentueux qui œuvrent au quotidien pour vous offrir une expérience mémorable. Sachez que nous avons partagé avec un grand plaisir vos compliments concernant notre service et notre établissement. Dans l'attente de vous accueillir de nouveau parmi nous. Meilleures salutations. Stayed for one night vacation. Checked in in the afternoon. Check-in was smoothe. Elevator was broken so bellman took our bags up for us (we brought them down the next day). Received coupon for two free drinks at the bar. Picked up two sodas (in can) as we were not feeling well - liked this better than fountain drink as we could easily take it to the room. Room was cozy but okay for 2. We had to book 2 rooms as there was 3 of us. We had to request towells and soaps for both rooms as none were provided. Also (did not report) room window would not lock in one room - left belongings in the other room. Nice location across from the beach. Did have to walk a few minutes for restaurants as we passed on the hotel restaurant for dinner. Breakfast was pre-paid and went well. Not great but not bad. It was only like $5/person so it was okay. Checkout went quick as room was prepaid. Apart from breakfast it was a near perfect experience. Check-in was effortless. Room and bathroom clean. Bed comfortable. Staff friendly and helpful. Breakfast was poor value for money and we had to keep asking for basic things. Free drink since you are Platinum Sir, yes water or juice? Charge your card in GBP, no Dirham please, they charged in USD. Nice comfy room - no. Plastic chairs, no cover on bare board to sit on. Generally tatty. Building works in progress, not mentioned on web. WiFi apalling. Try harder or close down. The staff are very helpful.Keys were waiting at the desk when I arrived. Bar, swimming pool. Hotel infront of beach. Room, bar, and breakfast were all very pleasant. Location is a nice walk to the Portuguese city, and to the east along the beach. The staff was kind and helpful. Whether working the front desk, restaurant and house cleaning, the El Jadida staff took responsibility for guests and treated them with real warmth. Médiocre. The level of service was disappointing across the board. nice agents at the reception, but the hotel needs some renovation like repainting inside the rooms and cleaning & renovating bathrooms. the buffet breakfast was good. We requested a cot for baby (with borders) however we received a medium size bed which was not used because it is unsafe for kids who turn by their sides when sleeping.